Election Day '09 was a roller-coaster for election reformers. Instant runoff voting had a great night in Minnesota, where St. Paul voters chose to implement IRV for its city elections, and Minneapolis voters used IRV for the first time—with local media touting it as a big success. As the Star-Tribune noted in endorsing IRV for St. Paul, Tuesday’s elections give the Twin Cities a chance to show the whole state of Minnesota the benefits of adopting IRV. There were disappointments in Lowell and Pierce County too, but high-profile multi-candidate races in New Jersey and New York keep policymakers focused on ways to reform elections; the Baltimore Sun and Miami Herald were among many newspapers publishing commentary from FairVote board member and former presidential candidate John Anderson on how IRV can mitigate the problems of plurality elections. And as pundits try to make hay out of the national implications of Tuesday’s gubernatorial elections, Rob Richie in the Huffington Post concludes that the gubernatorial elections have little bearing on federal elections. It’s a busy election season for instant runoff voting! 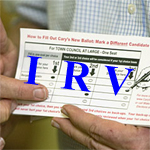 IRV is on the ballot in several jurisdictions this November. 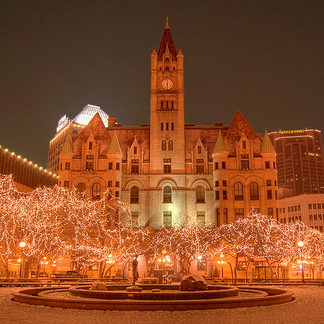 St. Paul (MN) is voting on whether to adopt IRV. Aspen (CO) is holding an advisory vote on whether to keep IRV, and the county council of Pierce County (WA) has placed a charter amendment on the ballot repeal it. Civic groups like local arms of the League of Women Voters are boosting the IRV side, and leading newspapers are coming out for IRV, including the Seattle Times and Tacoma News Tribune endorsing IRV in Pierce County and the Minneapolis Star Tribune backing IRV in St. Paul. Lowell (MA) is voting on adoption of the choice voting method of proportional voting. Cambridge (MA) will be holding choice voting elections, and IRV and choice voting will be used for the first time in elections in Minneapolis (MN). 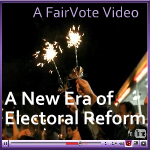 FairVote's Rob Richie and Paul Fidalgo offer a way to give everyone a say in presidential nominations while retaining the valuable state-by-state evaluation process. This piece also ran in McClatchy's newswire.